Richard Briffault is the Joseph P. Chamberlain Professor of Legislation at Columbia Law School. His research, writing, and teaching focus on state and local government law, legislation, the law of the political process, government ethics, and property. 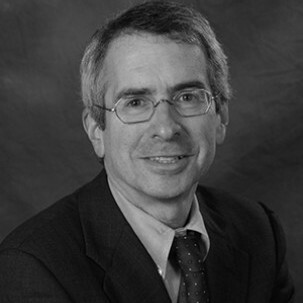 He is co-author of the textbook, State and Local Government Law, 2016, (8th edition); principal author of “Dollars and Democracy: A Blueprint for Campaign Finance Reform,” (a report of the New York City Bar Association’s commission on campaign finance reform), 2000; and author of Balancing Acts: The Reality Behind State Balanced Budget Requirements, Twentieth Century Fund Press, 1996. He has also written more than 75 law review articles. In 2014, Briffault was appointed chair of the Conflicts of Interest Board of New York City. He was a member of New York State’’s Moreland Act Commission to Investigate Public Corruption from 2013 to 2014, and served as a member of, or consultant to, several city and state commissions in New York dealing with state and local governance, including the New York State Commission on Local Government Efficiency & Competitiveness (2007-2008); the Temporary New York Commission on Constitutional Revision (1993-1995); the New York City Real Property Tax Reform Commission (1993); and the New York City Charter Revision Commission (1987-1989). He is currently the reporter for the American Law Institute's project on principles of government ethics. He is also vice-chair of Citizens Union of the City of New York. He was law clerk to the Honorable Shirley M. Hufstedler of the 9th U.S. Circuit Court of Appeals, and was assistant counsel to New York Gov. Hugh L. Carey. Briffault joined the Law School faculty in 1983. He received his J.D. from Harvard University and his B.A. from Columbia University.